Where I live in middle America, there was a drought in 2012. Farmers were able to plant crops unusually early. 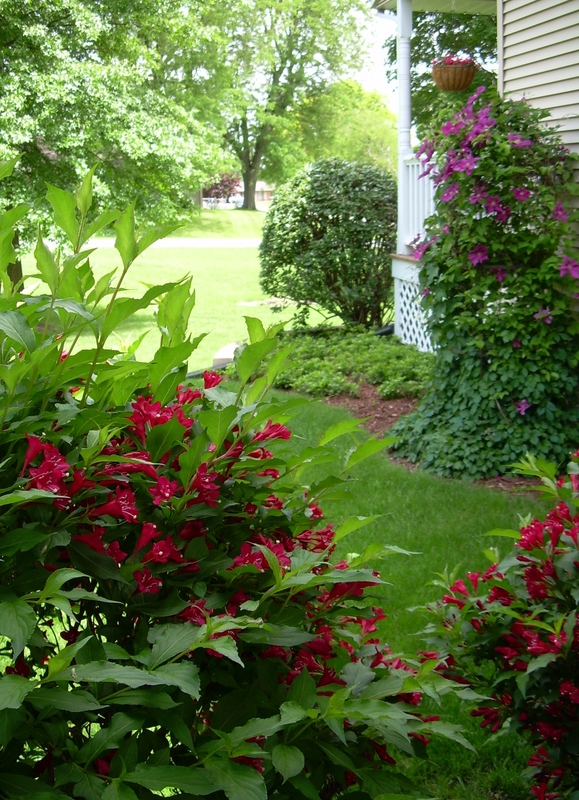 Homeowners put in their gardens and planted flowers well before the mid May frost-free standard. Then little to no rain fell. By June we got excited when skies darkened. We went outdoors and watched approaching clouds, hopeful for a downpour. But day after day, week after week, and month after month, those clouds were stingy. They rarely shared a drop. The local meteorologists explained that the atmosphere was so dry, the rain evaporated before it reached the ground. Temperatures rose—consecutive days in the mid to upper 90’s. Crops withered in the fields. 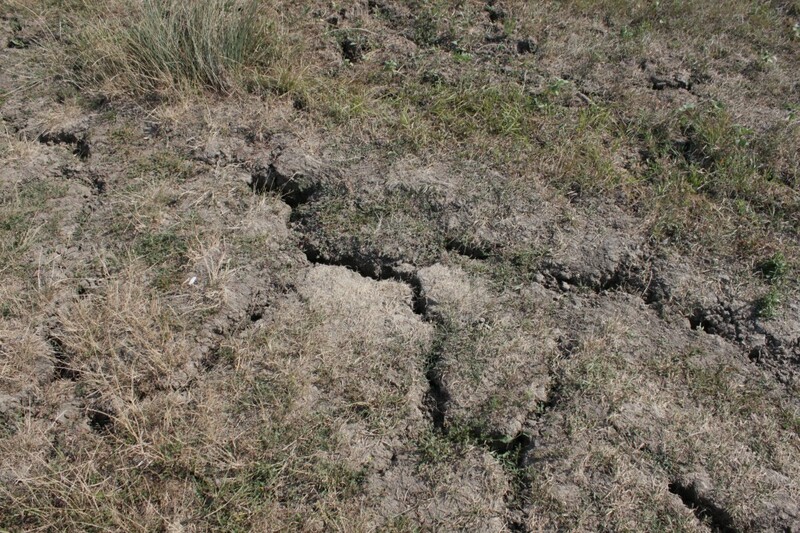 The parched earth contracted, causing ever-widening cracks. Lawns went dormant and crunched underfoot. Even well-established trees and bushes dropped leaves. By fall, an unwanted record was broken: we were in the worst drought in half a century. Lower than normal snowfall in the winter extended the drought well into 2013. I expected dead bushes and a spotty lawn this spring. I planned to pull out the shovel and the grass seed. But I never had to do either. The pictures are my witness. We got rain. More than enough rain! 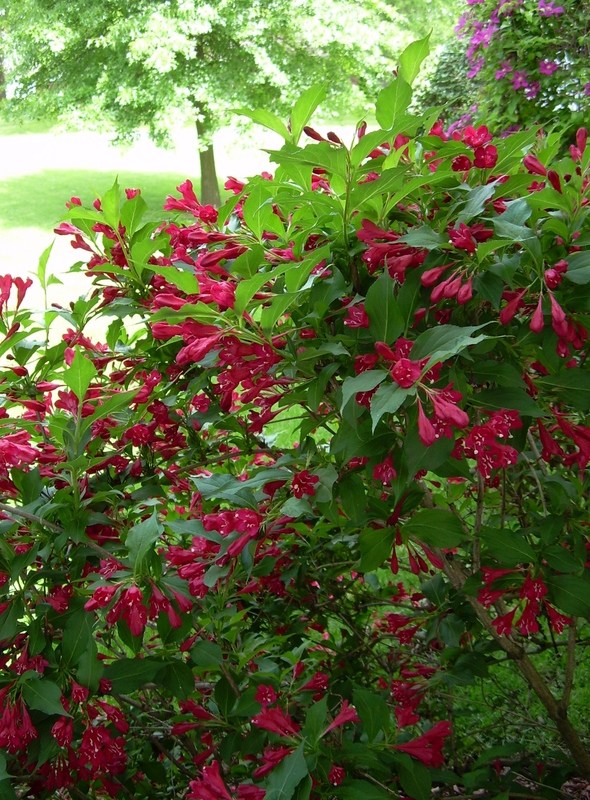 Today, the wisteria is bursting with blooms, the two weigela bushes have a bumper crop of crimson flowers, and the clematis is heavy with buds. The pachysandra ground cover that appeared dead just a month ago, not only survived but is spreading. The grass recovered fully on its own. 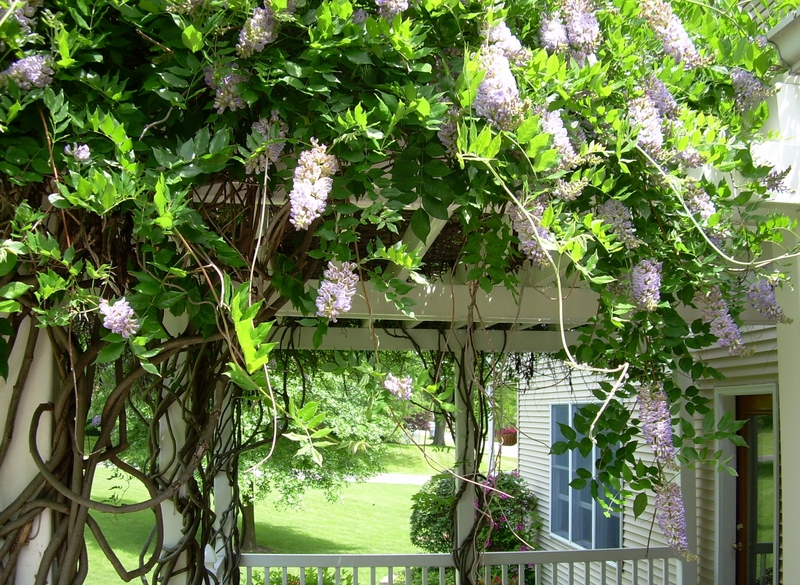 I had lilacs on bushes that I didn’t even know were lilacs. Horticulturists, botanists, or agronomists could explain all this to me. All I know is, this burst of beauty was not what I expected. Why did those plants flourish after the extreme heat and prolonged drought of the past year? So much for logic. Experience has convinced me that the same thing can happen to people. Drought happens. Some of us get hit with an extraordinary amount of it. Some suffer for a long, long time. It seems impossible that our drought will ever end. And then one day it starts to rain. It’s just a light shower that really isn’t enough. It’s a tease, too imperceptible to satiate bone-dry soil; there’s still a major moisture deficit. But more showers come, heavier and with more frequency. Soil that was parched and unable to support plants just weeks before becomes saturated. Shockingly fast, the drought is over. It’s a new day and a new spring, and we’re not merely living, we’re thriving. Life is unexpectedly bountiful! So much for logic. Romans 5:7 Be patient, then, brothers and sisters, until the Lord’s coming. This entry was posted in Uncategorized and tagged Drought. Spring. Rain. Bountiful., Thriving..